Home / android / lazada / News / online shopping / realme / smartphone / The hottest smartphone brand in Lazada SEA Region during 11.11 Online Shopping Festival 2018. The hottest smartphone brand in Lazada SEA Region during 11.11 Online Shopping Festival 2018. Realme, a smartphone brand that specializes in providing powerful smartphones and stylish designs at affordable prices, sets another online sales record in South East Asia. Various Realme countries such as Indonesia, Thailand and Malaysia generated strong online sales during the famous 11.11 online shopping day, raking it as the hottest selling smartphone brand in South East Asia by Lazada’s 11.11 Shopping Festival. Realme C1 managed to become the best-selling smartphone and knock out some of its competitors. This achievement shows that Realme is a significant player in the smartphone market in Indonesia, especially for young people. Not only in Indonesia, Realme also recorded a number of sales records in other Southeast Asian countries. 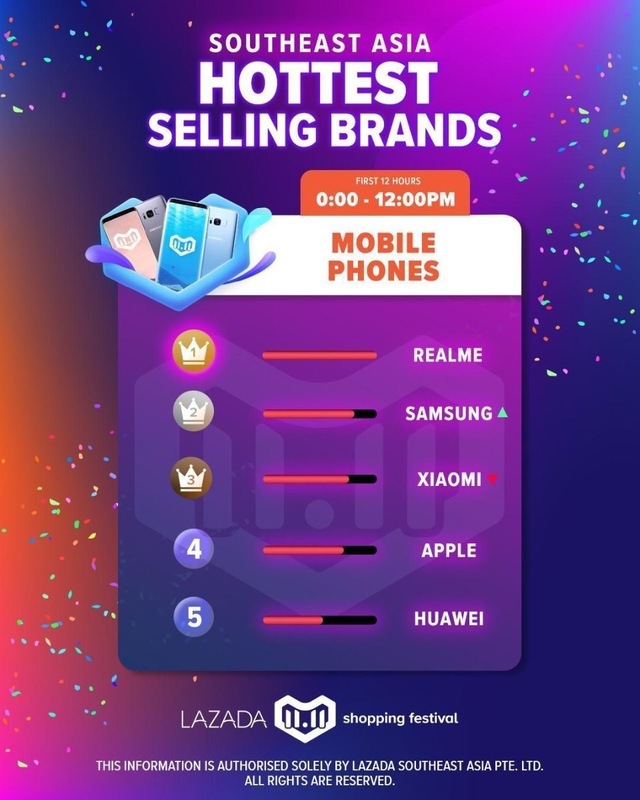 In Thailand, Realme managed to become the best brand in the smartphone category and became Double Champion by selling 1,000 units within 8 minutes during the 11.11 shopping festival at Lazada. Realme 2 Pro also sold 2,500 units for three hours on the day of online shopping 11.11 at Shopee Malaysia which breaks Shoope's record as No. 1 brand. Realme also gets a record for its sold-out sales and as the fastest growing brand. Realme Philippines is set to launch soon in the Manila, consumers can expect real value smartphones that addressed real needs through strong performance and trendy design. The company understands the needs of the smartphone industry, especially the youth market. In the future, Realme will also continue to create more research to grow and provide what young people wants from a smartphone, making Realme as a smartphone brand suitable for young people.